Five Types of Travelers Who Fall in Love With Bali. Are You On The List? Bali is a cultural hub, with a vast, diverse range of visitors from all over the globe – and for good reason. This unique island holds something for everyone, from cultural enthusiasts to adrenaline junkies. Perfect for a romantic getaway, gap year stop-off or family holiday, there are plenty of things to do in Bali, so plan ahead to make the most of your time there! 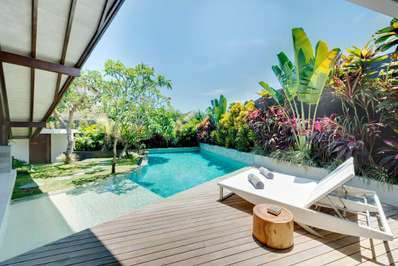 Whilst Bali is undoubtedly a destination for hippies and gap year travellers, it has also become a haven for those in search of luxury and the trendiest things to share with the rest of the world. 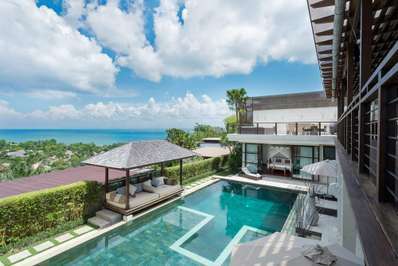 If this is something you are looking for, then we’ve got some good news in store: the island is dotted with indulgent villas, lavish infinity pools and upmarket restaurants – perfect for a romantic getaway or some quality time away from work. And we are happy to share our favourite activities in Bali for a mind-blowing getaway! Take the Villa Iskandar, – a riverside sanctuary with oriental-themed interior and contemporary architecture which is sure to blow you away. Guests are waited on by a team staff, including personal butlers and a chef, meaning there is no need to lift a finger. 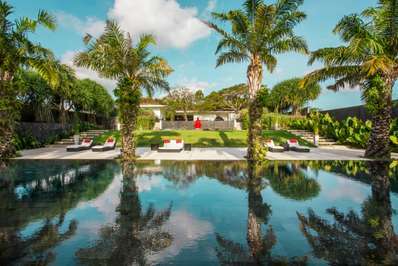 Featuring a luxurious pool and situated near the quaint village of Beraban, it is sure to impress those with the most grandiose of tastes. 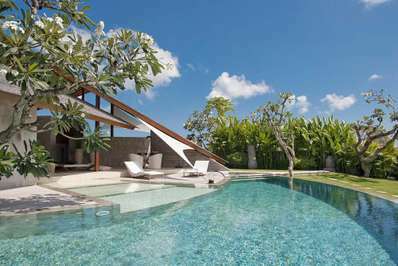 Villa Umah Daun, Villa Canggu North, Villa Amy and dozens of other luxurious holiday properties are waiting for you on this island. Bali is also famous for its mind-blowing beach clubs, such as the Finns Beach Club , Potato Head Beach Club , Karma Beach Club , and uniquely themed restaurants like the Bamboo Bar and Lounge and Azul Beach Club & Restaurant. For those who know where to look, you can even find luxury in nature. The breathtaking natural infinity pool at Angel’s Billabong in Nusa Penida is one such example – although the road there is rough, it is well worth it for the pristine waters and natural scenery. A once in a lifetime experience! Pura Penataran Agung Lempuyang. Does it look crazily beautiful? Bali is stacked full of ancient ruins, monuments and temples which will be sure to delight history buffs and culture enthusiasts. You’ll find them in their hordes, trotting around in harem pants and round sunnies, enjoying the magnificent, centuries-old architecture. If this sounds like you then look no further for your next travel destination – nicknamed ‘Island of the Gods,’ Bali is sure to fulfil your expectations. Take the Purah Besakih (the ‘Mother Temple of Bali’) as your starting point. At almost a kilometre above ground level, this majestic temple complex is known for its dramatic location, as well as being one of the holiest places on the island. The compound is actually home to more than eighty individual temples, all of which are steeped in ancient tradition, and is one of the best reasons to visit Bali for any temple-lover. Moreover, don’t forget about the legendary Lempuyang Temple, located in the slope of Mount Lempuyang. Or if you want to get off the beaten track, how about the awe-inspiring Mount Kawi, a temple complex centred around royal tombs which were carved into stone cliffs as far back as the 11th century? Relatively unknown to the tourism industry, visitors can experience the unique history of the island in tranquillity – but be warned that the trip involved braving a few hundred stairs! Secondly, Bali’s waterfalls deserve to be considered a visiting card of the island: you can find literally hundreds of them scattered around Bali. Huge and tiny, extremely popular and hidden from the crowds, and all absolutely astonishing and worth-visiting. The must-see waterfalls in Bali are the Sekumpul Waterfalls and Tegenungan Waterfall, while you would also love to visit the more off-the-beaten track Tukad Cepung Waterfall,Aling-Aling Waterfall (where you can literally slide down the waterfall!) and Gitgit Waterfall. The foodie. You’ll see them studying the menu’s outside restaurants and hovering around warungs (small eateries), scouring the island for an ultimate palate-pleaser – and so should you! Indonesia is made up of thousands of islands, each with their own cuisine. Over time a diverse array of dishes has made its way to Bali, resulting in a truly exciting assortment of food to choose from. Unsurprisingly featured among such dishes is a fine array of seafood – head to the beach-side cafés on Muaya beacu (in Jimbaran Bay) for an excellent selection of fresh fish, shellfish, lobster and crab. Equally important is the selection of condiments as each café owner has their own home recipe – from flaming-hot sauce to tangy barbecue and everything in between, you’re guaranteed to find something which tickles your taste buds! One of the reasons to visit Bali is that you can be sure the food is both fresh and healthy. Other local delights include a variety of types of satay, spit-roasted pork stuffed with spices and traditional market cakes. For an authentic taste of Balinese cuisine, head to Warong Legong – known for ambience, service and fabulously fresh food! There is a number of great eateries where you could both indulge yourself with delicious dishes & keep your healthy eating patterns while getting thrilled by the unique interiors and ambience: for example, the Nalu Bowls Shelter Cafe, La Laguna Restaurant and the Lazy Cats Cafe. Featuring uniquely spiritual hot-spots and a range of yoga studios, Bali has become one of the finest points in the world to do a little soul-searching. Travelers all over the world flock to look a little deeper into themselves – whether you’re an experienced yogi or struggle with the lotus position, you can be sure that a profound spiritual experience is just around the corner. Take the Morning Light Yoga Studio in Pecatu, an elevated, open-air workshop with stunning views of both the jungle and ocean or beautiful Ubud Yoga Centre nestled in the bosom of nature. As the name suggests, this is the perfect place to soak up the early rays of sunshine, for beginners and experts alike, with classes starting at 7:30 am. Finish the session with a refreshing coconut whilst you reflect on a morning of breathtaking tranquillity – one of the top reasons to visit Bali! Moreover, in Bali, you can try underwater yoga (so you can mix diving and yoga! ), yoga by sea and even laughing yoga – everyone will find something for themselves! Or, for something a little different you could go directly to the spiritual places of the island -such as the Pura Tirta Empul. For anyone interested in spiritual things to do in Bali, this is a must-see. Not just any temple, it is home to sacred springs which are said to contain holy water. Of course, the only way to find out if these waters really do have purifying, magical properties is to bathe in them yourself! For those in search of entertainment, Bali is the perfect place for adrenaline junkies and adventurous families. From white-water rafting and quad biking to waterwalking and diving, you can guarantee that boredom is not an option, and there is a bunch of fun activities to try in Bali! If getting wet isn’t your thing then skip ahead, because with Bali River Rafting, staying dry is not an option. Thrill seekers can enjoy spectacular views of unspoiled jungle scenery and wildlife as they board a river raft or (for the more adventurous) a quad bike through a selection of Bali’s white-water rapids. Just one of the amazing family activities available, kids and beginners are just as welcome as seasoned explorers. Feeling thrilled? Join our rewards program and try these things for free! Another truly unique experience is the Night at the Zoo program at the Bali Zoo in Singapadu. A nocturnal adventure which includes elephant feeding and a photo session with some of the tamer animals before an extravagant fire dance and set menu dinner, it is a surefire way to excite both kids and adults! One of the top things to do in Bali, the package is available nightly and is sure to be a crowd-pleaser.